The LaPorte Community School Corporation Intermediate campus is continuing to make strides in the building progress and the organizational set up. The new administrative area will be open for use around spring break. The next renovation in progress within the current building is occurring in the old cafeteria area, media center, and in a front science classroom that will turn into the 5/6 administration office area. Benefits of the new school are abundant and have led to increased anticipation for the intermediate campus to open. “The entire building project has been exciting. 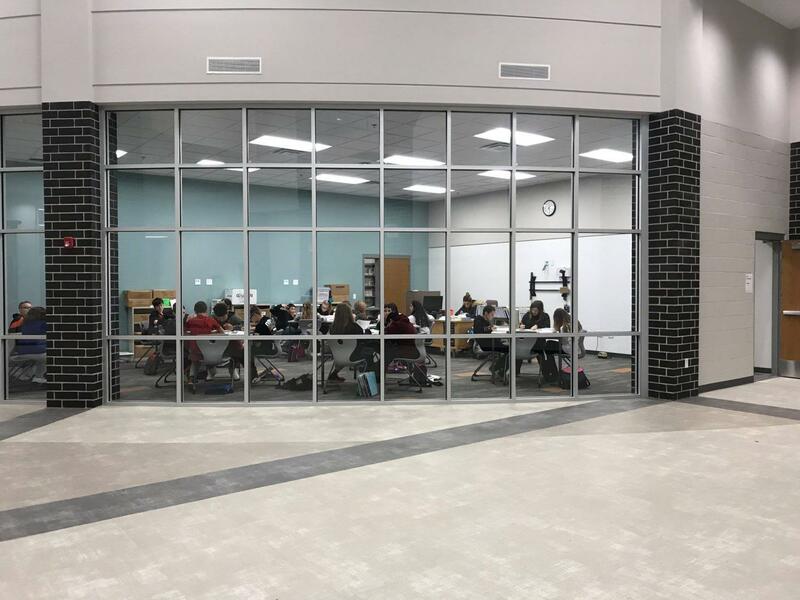 The best feature so far are the tall ceilings and windows that allow natural light from the outside into the building,” Bill Wilmsen, Kesling Middle School, principal, said. Some of said benefits include parent resource centers in each of the intermediate schools. Here, parents will be able to find information involving the school and what is happening. The school has also identified safety protocols that are being implemented for all schools. These include traffic flow, bus drop-off, class size, and restricting the 5th and 6th graders from having to face upper grades throughout the day. The school will have equal students as the high school, and although the facilities will be shared for grades five through eight, only like grades will occupy at the same areas like the library, cafeteria, and music areas at the same time. Since 5th grade is also being moved into the intermediate school, their day will start to have more of a middle school feel. Students will be having more than one teacher, but it won’t be a traditional middle school model of having seven different classes with seven different teachers. To find out more information about the school and construction, planning efforts and Feasibility Study are posted on the corporation website.